Not ALL necromancers are evil! Introducing the white necromancer, one of the 12 new and expanded Pathfinder Roleplaying Game classes in the recently-released hardcover edition of the New Paths Compendium. Most necromancers are foul, twisted individuals obsessed with corruption and death. A few, however, embrace the fullness of true necromancy—which involves tapping the essence of life as well as that of death and unlife. These enlightened few are known as white necromancers. 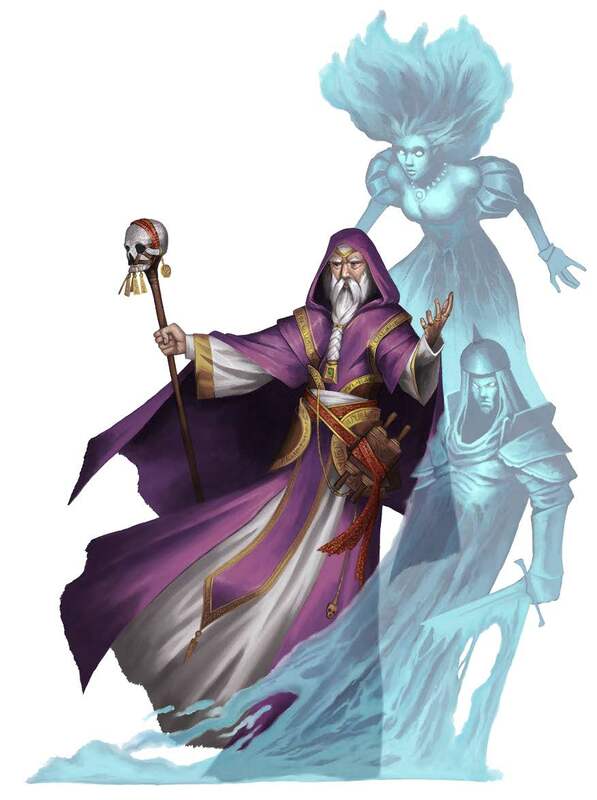 White necromancers are arcane spellcasters who study and explore the mysterious connection between life and death. They do not walk the same path as traditional necromancers, or dark necromancers, as white necromancers call them. Instead, white necromancers honor the dead and seek to aid the living. They have a deep and profound understanding of life’s eternal cycle—the necromantic triad—which makes them potent healers as well as powerful spellcasters. Interesting. I had a similar idea in the past. 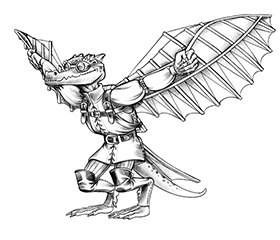 Will this class make the transition to 5E sometime in the future? 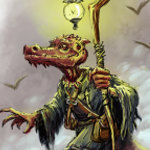 There’s actually been a fair amount of call for a 5E New Paths Compendium, so who knows? BUT, if you play Pathfinder, you NEED this book!